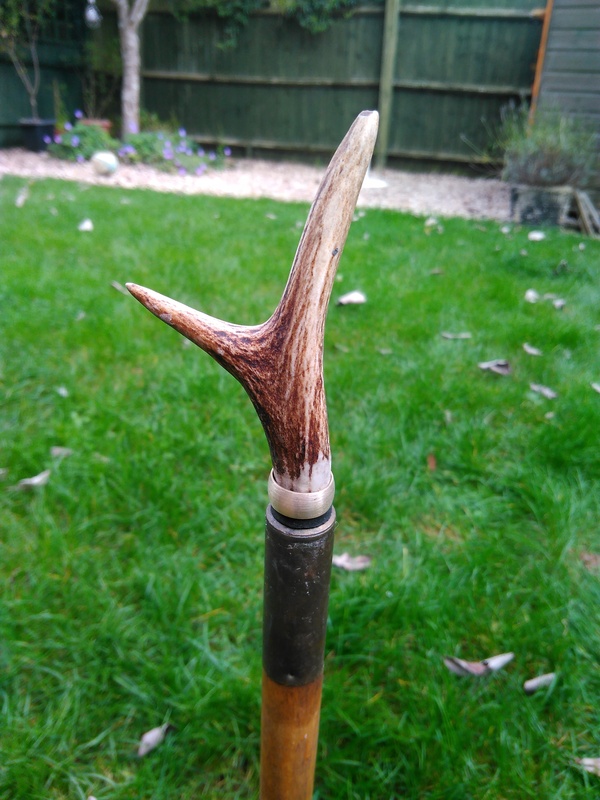 My 1st attempt at a rod rest with a deer antler top. 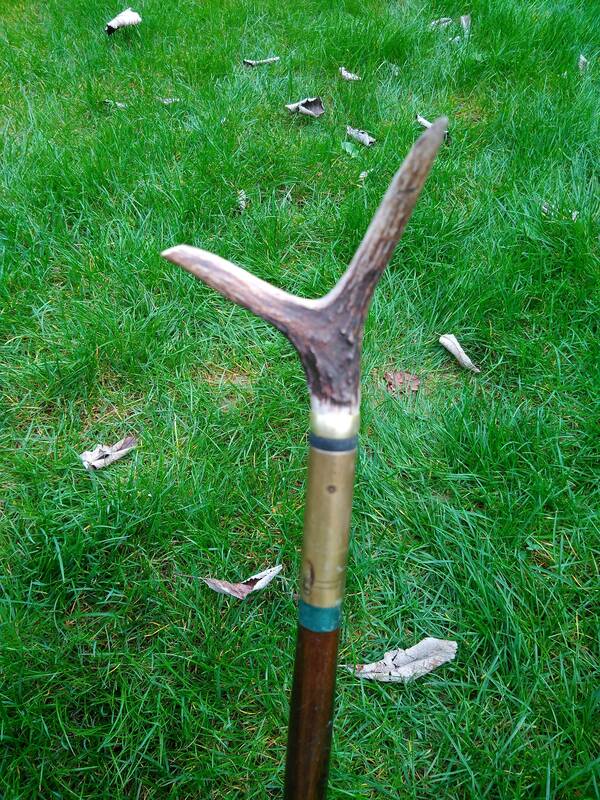 Willow shaft and copper to protect the tip. one coat of varnish on. That's a beautiful rod rest, LL! Very nice indeed, it could double as a back scratcher! 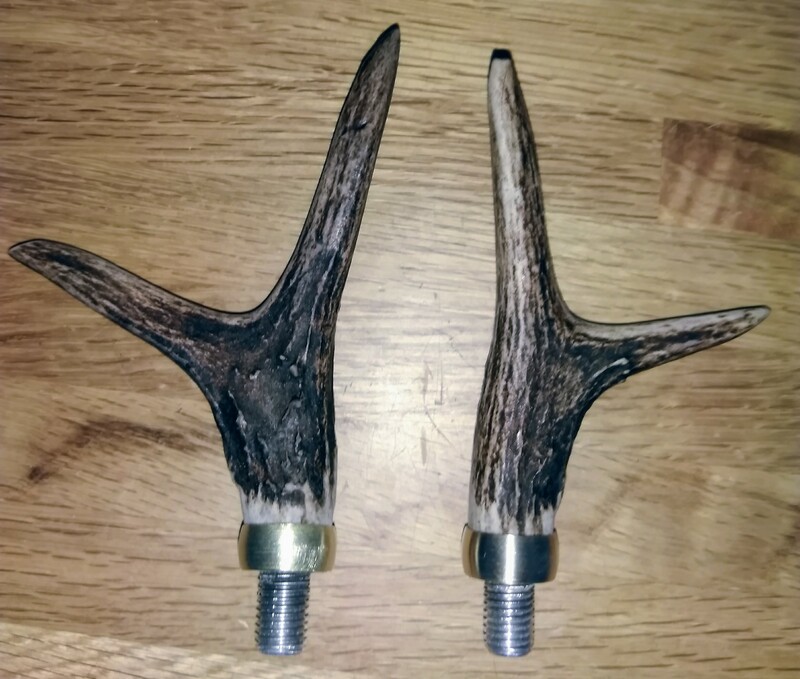 I'm happy that I managed to get such a good connection between the antler and the shaft. I'm not happy with the bark on the shaft. It's not as red as the pictures make it look. But I think I'll strip it off and re-varnish. A little bit of spare time this morning so I thought I'd fashion a few more rod rests. This time they have threaded bar to allow fitting to any bank sticks.